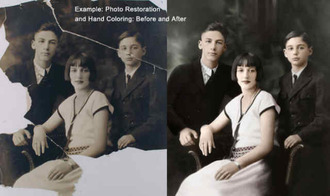 Framed Image is your source for professional digital photo restoration. Bring us your worn, torn, stained, cracked and faded photographs and we will digitally restore them to their original luster. Removing people, distracting shadows, and changing background colors can also be done. We can colorize your black and white photos or change the color to sepia tones. The process is simple. Just bring us your photo or document and tell us what you would like done. We will scan the image into our computer and digitally restore it. Your new photograph will be ready in 1-2 weeks. Your original photograph NEVER leaves our shop!! 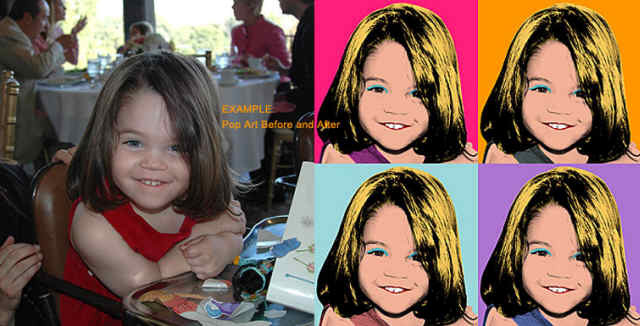 We can also change the background on a snapshot, add colorized effects, put a photo on canvas, change a photo to a watercolor, or simply order a high quality duplicate of a favorite picture. One of our favorite techniques, the Pop Art technique can transform ordinary snapshots into fun works of art ready for framing.